The opponent is now burned. One of the opponents benched Pokemon has 30 damage taken out of. 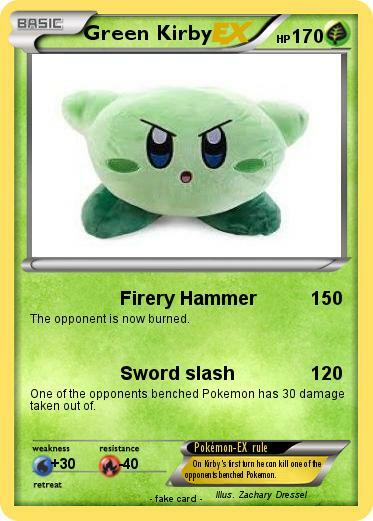 Pokémon-EX rule : On Kirby's first turn he can kill one of the opponents benched Pokemon.